Opera has this week released it latest Opera 11.60 beta version for download, which includes HTML5 microdata support, ECMAScript 5.1 and further HTML5 support. Opera 11.60 beta includes a new HTML5-compliant parser, which provides richer functionality to web developers and improved compatibility with other browsers. Opera’s address field has also been redesigned with new search suggestions, and improved results display in History and Bookmarks. Opera 11.60 now also allows you to add pages to bookmarks or Speed Dial instantly, simply by selecting the star in the address field. The passwords sync features now available in Opera 1.50 enables you to have access to all your passwords from any computer, thanks to Opera Link which synchronises your bookmarks and other browser information. 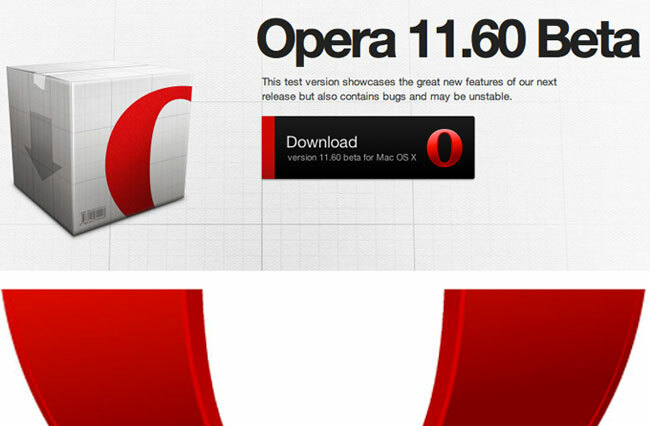 You can now download it from the Opera website to give it a try.